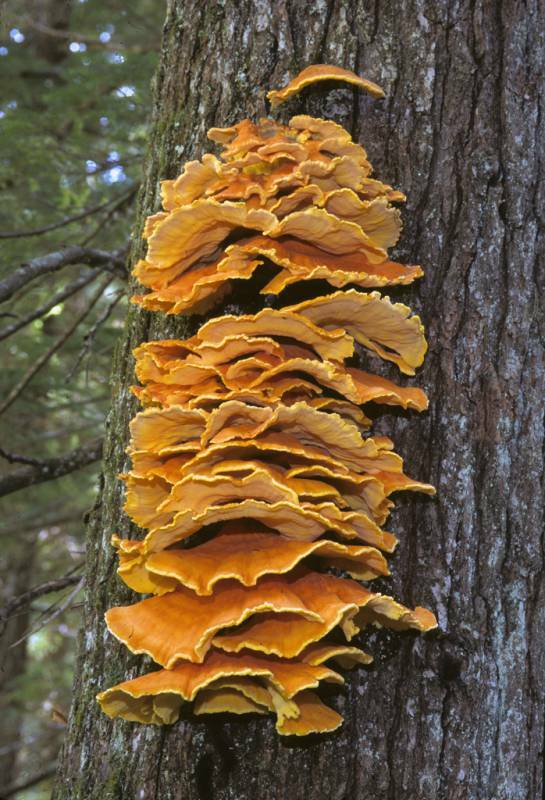 Laetiporus sulphureus has long been the name used for this magnificent annual polypore, that often forms large clusters of overlapping bright yellow and orange shelves on living trees, logs, stumps, snags, and even utility poles. When fresh the fruitbodies are soft and somewhat fleshy to fibrous, and often watery, but later they become tougher and harder, and, eventually, fade and become soft and crumbly. The pores are bright yellow when fresh, discolor somewhat when bruised, and become paler in age. Fresh specimens have a pleasant odor. In North America, several species of Laetiporus are now recognized. In the west, we have two species---L. conifericola on conifer wood, and L. gilbertsonii on hardwoods. The sulfur shelves also are called chicken-of-the-woods. When young, the growing edge is soft and edible, but once the caps mature, they become tough and chalky. 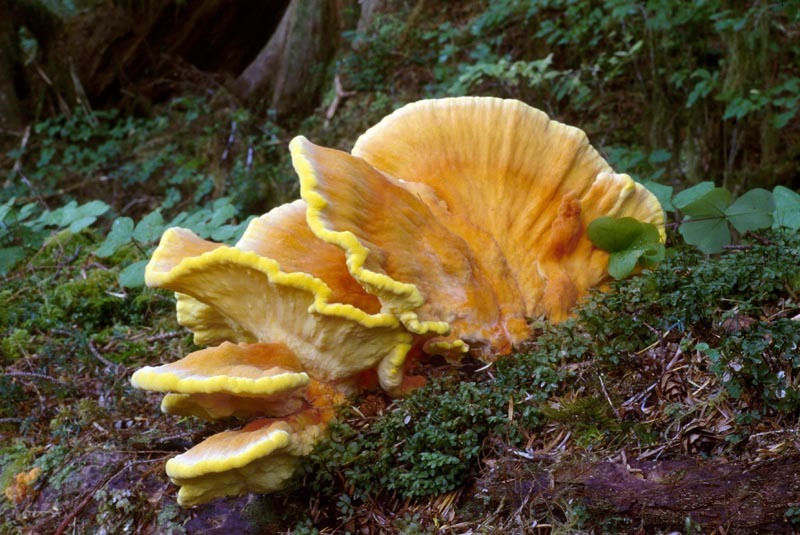 PNW Herbaria: Specimen records of Laetiporus conifericola in the Consortium of Pacific Northwest Herbaria database.